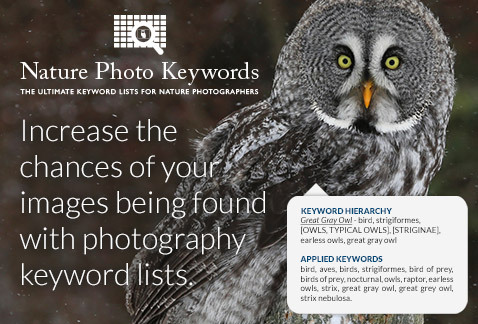 Download a photography keywords list and instantly apply controlled vocabulary for birds, mammals, and plants in Adobe Bridge, Lightroom, Apple Aperture, and Photo Mechanic. 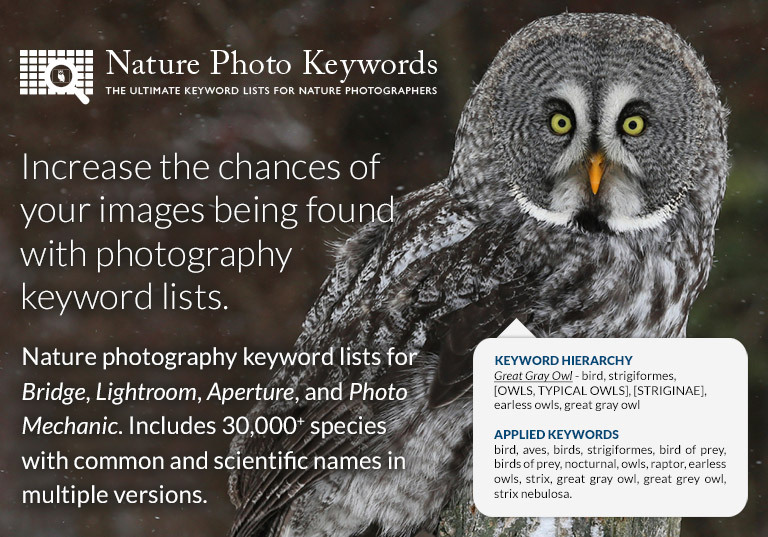 Photography keywords lists by Nature Photo Keywords is scientifically credible, providing accurate, consistent, and thorough metadata for your photos. Photography keyword lists are available in English only files or multi-language translations where keywords are available.